With so many stars gathered for the Laver Cup, it’s been a dandy time to gather quotable quips and deep-think insights from an array of adept tennis minds. KEVIN FROM HEAVEN? Kevin Anderson delivered. After Team World fell far behind Team Europe, 7-1, hopes were plummeting. Their belief was wavering. Team World had dropped one heartbreaking match after another to the favored Euros. 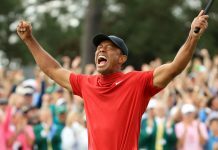 Enter 6’10″ Anderson, who had a dismal 1-6 record against the hottest player in the tennis universe, Novak Djokovic, who’d handily dismissed the South African in this year’s Wimbledon final. Goodness, he hadn’t beaten Djokovic in a decade. But Kevin showed great power, surprising quickness and a gritty fighting spirit as he prevailed in the deciding tiebreak 10-6 to claim a desperately needed victory that kept Team World in the Laver Cup conversation. 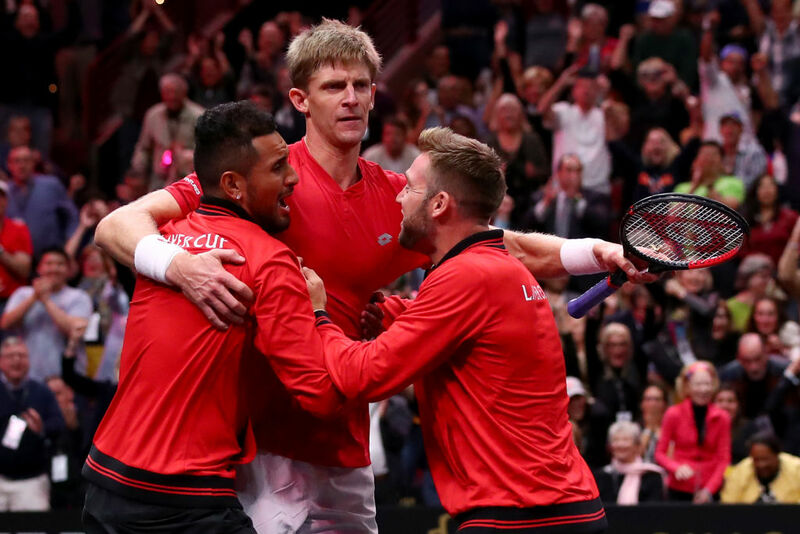 Then the American-Aussie win by doubles wizard Jack Sock and Nick Kyrgios over David Goffin and Grigor Dimitrov brought Team World back into contention. Now, going into the final day of the Laver Cup, Team World is down just 7-5. NOVAK ON SERENA: Djokovic told IT that during the US Open final, umpire Carlos Ramos pushed Serena’s buttons too much and should have understood the moment of a big final before giving her a game penalty. THE BRILLIANT INSIGHTS OF A MAN WHO SHOULD KNOW: Inside Tennis asked Roger Federer to talk about the dynamic of dominance in men’s tennis, where young players have had such a hard time breaking through for so long and the top five have prevailed with barely a blink. Roger explained, “Obviously the top is strong. If you look at…me, Rafa, and Novak and look at how we play, we play very differently. So for anybody to come through all three guys in one tournament and end up winning the tournament – I don’t know if it’s ever happened. It’s just very hard. [To beat us] you have to have so many different qualities. You need to be able to serve well, return well. You have to have a transition game. You need to be able to finish at the net. You need to be physically strong – mentally strong. Our three playing styles challenge all those things. You may be [fine] over a weekend, over a week…[But] it’s just very hard for a lot of guys to break through. We have made it difficult. Then you add someone like Stan [Wawrinka] in the mix who comes in with his power, or a Sascha [Zverev] or a Murray, who obviously has unbelievable retrieving potential, and is also a great champion. And Cilic, who can serve unbelievably. GO FIGURE: Novak Djokovic, the hottest player in tennis, is 0-2 in the Laver Cup. Federer is 1-1. WHAT’S THE BIGGEST SHOCK WE COULD SEE IN CHICAGO? Let’s face it, it was shocking when an African-American politician from Chicago named Obama became the leader of the free world. But here at the Laver Cup, at a far different level, how shocking would it be to see Team Europe’s captain, the placid Swedish icon Bjorn Borg, freak out and have a total meltdown? Although one-long ago commercial featured the Swede doing just that while Mac remained calm and collected. GET THIS! IT’S NOT AN EXHIBITION: The other day, John Isner bristled when he was asked about how serious the Laver Cup Is. Today he continued his theme, saying, “I think you guys can see for yourself how serious it is out there. The word “exhibition” is so stupid when it comes to talking about this event. It’s the furthest thing from that. I mean, I’m totally dejected right now. Look at Sascha. He went down to his knees after winning that match. It’s not a show. If it is, we’re incredible actors, okay? HEY, HUNTER, THAT’S DADDY ON TV: Isner’s wife Madison held up their seven-day-old daughter, Hunter Grace, and showed her her daddy playing on TV. John revealed to the press that he wasn’t sure his kid would remember the moment. PROOF THAT THERE IS SUCH A THING AS INSTANT KARMA: Right after Djokovic dared to hit his doubles partner Federer in the backside with a serve, he was bashed in the chest by a mighty Jack Sock forehand.